Originally a Milanese speciality, panettone is eaten in central and southern Italy – I think I even saw the stuff in stores in Rome circa Easter. The name comes from panetto – small loaf of bread – and one, which means large bread. Small bread, large bread, it is essentially a sweet, buttery bread filled with candied citrus fruits. It can be made with olive oil or butter, milk or not milk, and really any dried or candied fruits or nuts that make your heart sing. My housemate Mark and I started a panettone-making tradition last year around the holidays and I’m pleased to report we’ve now completed our second annual bake-off. It takes at least two days to make panettone, due to the yeast dough that needs to rise and sleep overnight in the refrigerator. The following day, when it’s ready to bake, it needs to be removed from the fridge and left to rest for an additional hour and a half before going into the oven. On a side note, this project required a field trip to the quintessentially NYC New York Cakes & Baking Supply on W. 22nd Street. A warehouse of baking supplies near the Flatiron building, this shop stocks edible gold leaves, cupcake molds, ten different kinds of frosting knives, an entire wall of sprinkles…you get the idea. This is where I picked up the pearl sugar that you sprinkle on top of the loaves, and the paper molds. 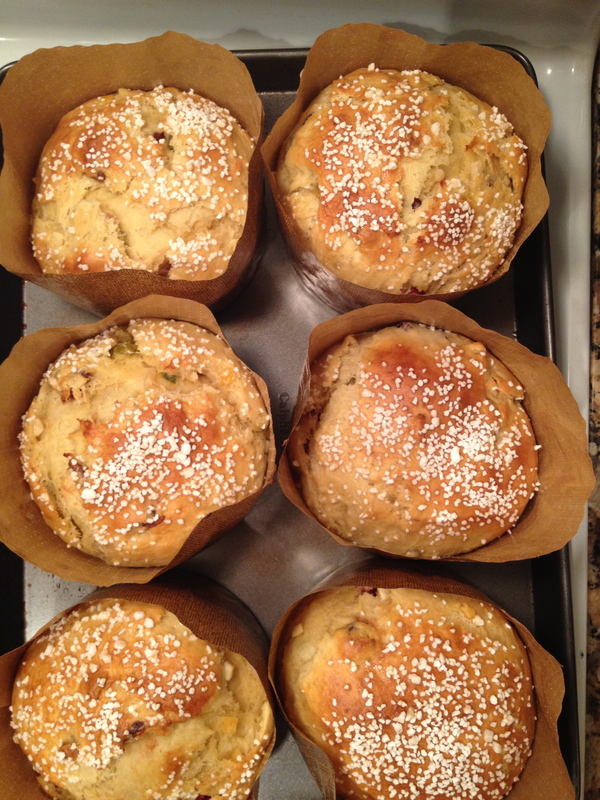 While it’s baking, the brioche dough gives off the most pleasing aroma of warmed butter and honey. I could hardly wait for one to cool before tearing off the outer paper and cutting a slice. It’s a new holiday tradition, for me anyway, and one that’s perfect to celebrate Christmas, Hanukkah, or New Year’s. By doubling the recipe below you will make twelve bejeweled little cakes, perfect to give away in the spirit of the holidays. 1. In a saucepan over medium heat, dissolve the water, salt, and honey. In a separate saucepan, melt the butter. Combine the butter with the honey mixture and allow to cool slightly. 2. While the mixture is cooling, lightly beat 8 eggs in a medium bowl. Add the cooled honey-butter mixture to the bowl of a stand mixer, and add the beaten eggs. When the contents of the bowl are just warm to the touch, stir in the active dry yeast, and allow some of the granules to dissolve. 3. 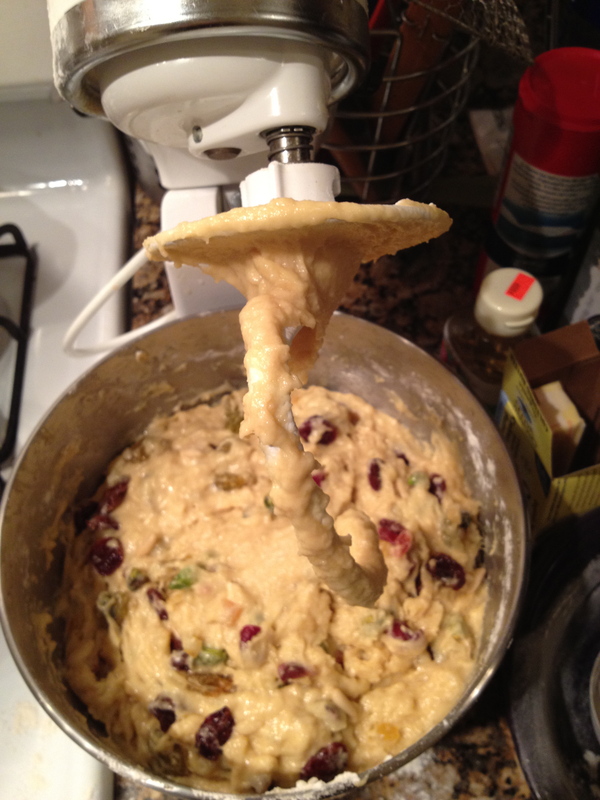 With the stand mixer on low, add the flour, alternating with the dried or candied fruits and nuts. The mixture will appear loose and wet. Cover with plastic wrap and let rise at room temperature for about 2 hours. Knock down if necessary, cover the bowl tightly, and refrigerate over night. 4. The next day, remove the dough from the fridge, and divide into six even pieces. Using plenty of flour, create rounded balls, and transfer to your baking mold (I like disposable round panettone molds, 5 1/4″ x 3 3/4″). Allow to rise in the mold for about 1 1/2 hours. Brush the tops with egg wash and sprinkle pearl sugar over the tops. Bake at 350 degrees F for approx. 30 minutes, or until golden on top, rotating the cakes in the oven about halfway through. Let cool completely before covering or storing. I love that baking supply store! It makes me feel super ambitious even though I have no attention span when it comes to yeasty things. 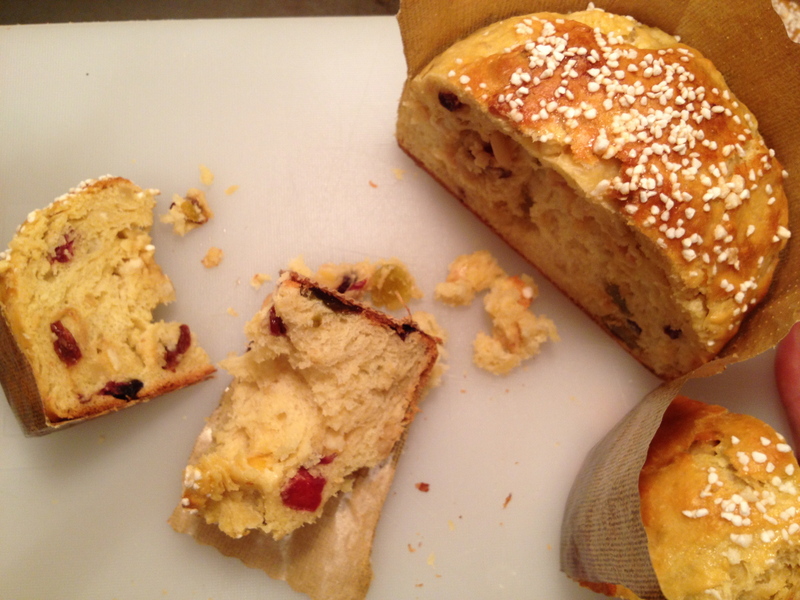 Those panettone look worth the effort though…jealous. Thanks Grace! By the way I love your blog, and congrats on the NYTimes nod. 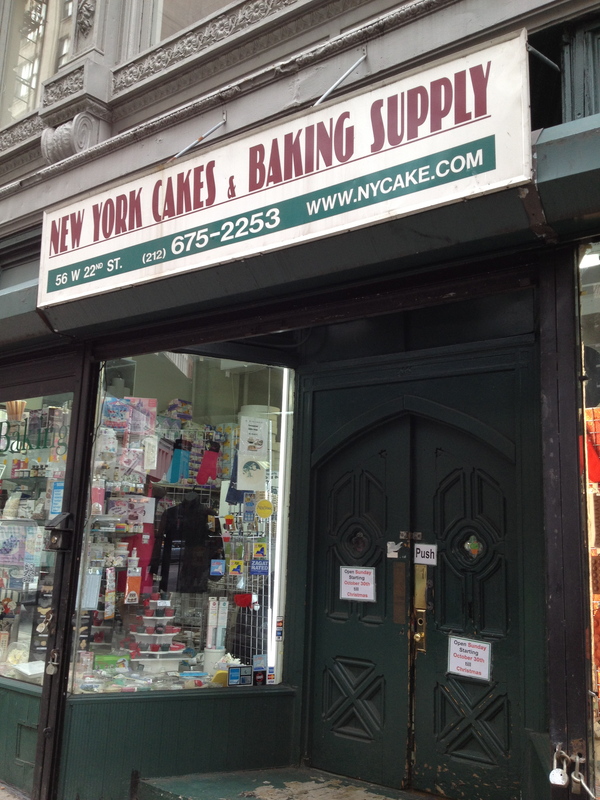 I know, NY Baking Supply is my new favorite store in New York. Oh this looks, sounds, and smells (yes, I can smell it!) so delicious. Hi Holly, I love Panettone. I will make the recipe when I am back from Mexico. I like the Blog! I think turkey is very common, but people alse eat a dried fish made in a salsa with shrimp cakes. For January 5 there is always a sweet bread ring for to celebrate the arrival of the three wise men. 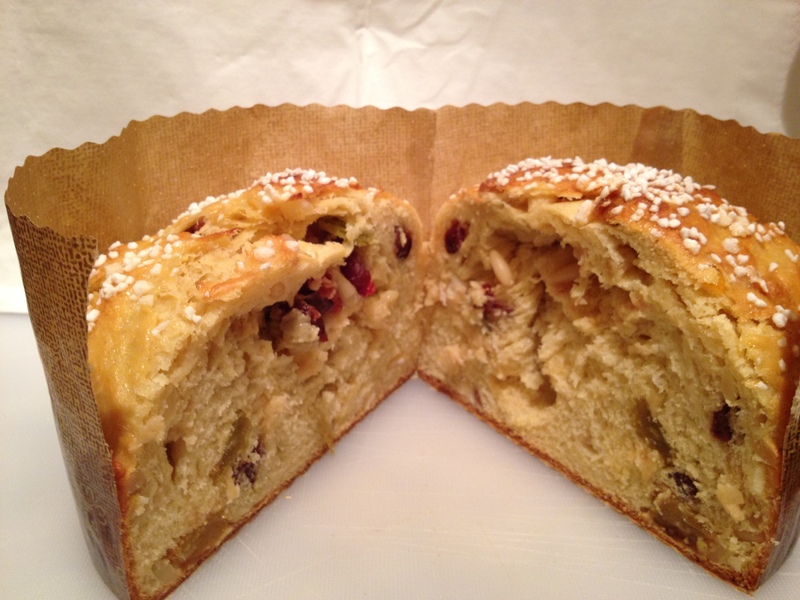 It is similar to Panettone, but ligther dough.